“We have many cases where bears have become very comfortable living close to humans and not being impressed by barking dogs and yelling people." CANTON, Conn. (AP) — Tom Bradley had grown accustomed to seeing black bears walk through his Connecticut neighborhood, but this month he was alarmed to find something trying to turn a doorknob to enter his house. It’s one of several states that have been grappling with how best to minimize encounters between bears and humans, including discussions of expanded hunts and improved garbage management systems. New Jersey restarted regulated bear hunting in 2003 after nearly three decades without one. But this year, Gov. Phil Murphy barred black bear hunting on state-owned lands and said the state will pursue more nonlethal methods to manage the population, such as better garbage management policies. Hunt supporters, just as John Rogalo, the vice president of the New Jersey State Federation of Sportsmen’s Clubs, say the hunt has worked to teach bears to avoid humans and worries that trend will be reversed if the hunt is ended. 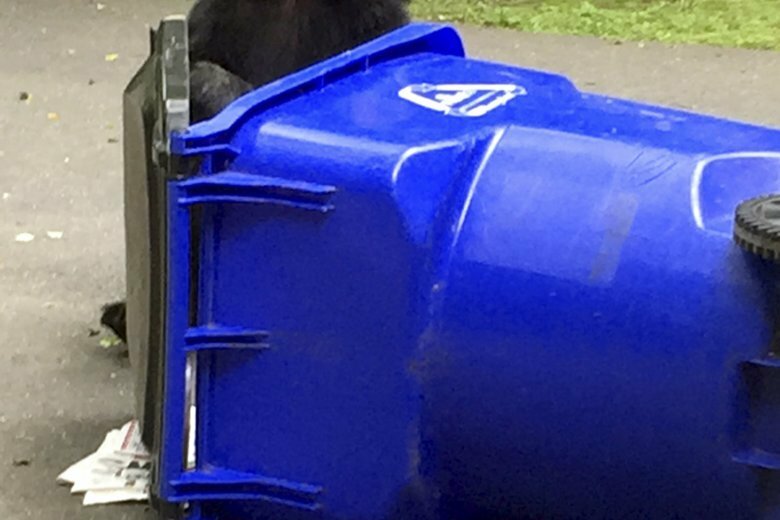 The Florida Fish and Wildlife Conservation Commission provides grants to counties, mostly for bear-resistant trash containers. Some of that grant money came from fees raised from a 2015 bear hunt, the only one the state has held in more than two decade. In recent months, bears in Connecticut’s suburbs have shredded a car’s interior, wandered into a liquor store, even woken residents in their own bedrooms. Bear encounters are up in some other states, as well. New York has received 1,282 nuisance bear reports this year, such as the animals getting into garbage or bird feeders, compared with 700 a year ago, the state Department of Environmental Conservation. Officials believe drought conditions earlier this summer, which led to fewer berries, may be a factor. But drought wasn’t an issue in Connecticut, Rego said. A study last year by the University of Connecticut showed the bears are actually choosing to make their homes near people. Bears stop by the Steve and Julie Sonlin’s home in Avon several times a year and have looked into the windows, grabbed a bag of birdseed from the garage, even taken a dip in their hot tub. Bradley said he has already witnessed some close calls, such as recently when a mother bear found herself and her cubs between a neighbor’s yard with a barking dog and another with a child playing in it. He alerted the child’s mother, he said, and she took her child back inside the house.